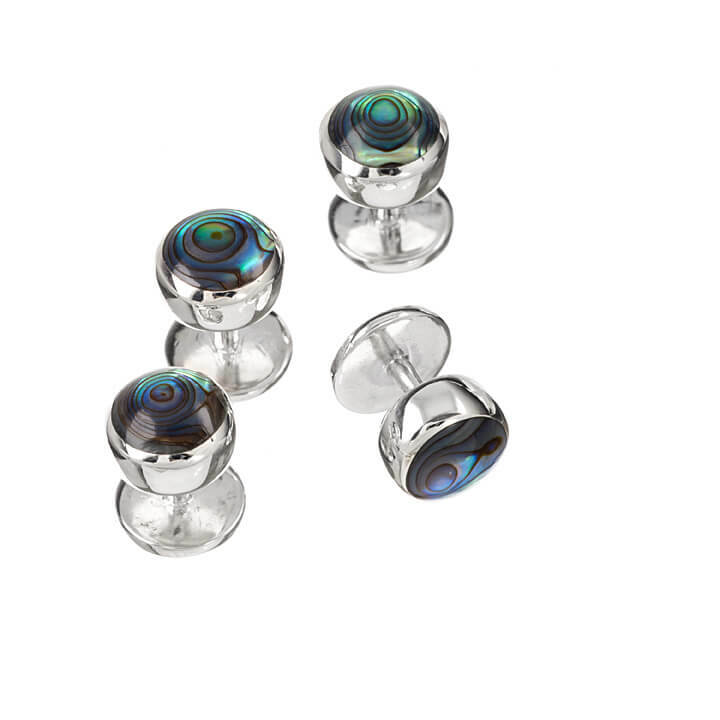 These Sterling Silver Dress Studs are inlaid with stunning iridescent Paua Shell(sometimes called Abalone), adding a contemporary edge to your formal look. The beautiful stone is an appealing feature within this set of cufflinks shouting luxury and individuality and is a must for any fashionable gentleman's wardrobe. Pair up with Murray-Ward Sterling Silver Double Oval Paua Shell Cufflinks for the prefect ensemble.